Pai’s claims, made via a memorandum this week, were issued in response to a lawsuit brought by the New York Times. A few weeks ago, the Times requested access to the IP addresses and server logs of those who submitted comments during the agency’s net neutrality docket. 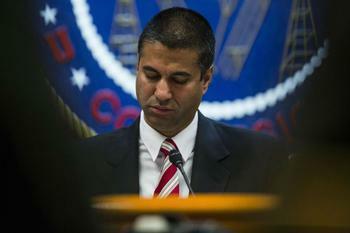 During the time the FCC was seeking public comments ahead of the controversial vote to roll back net neutrality rules, the agency reportedly received more than 23 million comments. In October, a study found that 99.7 percent of unique comments filed on the FCC’s website ahead of the vote were in favor of keeping net neutrality protections. Pai said this week that the FCC chose not to release the records because the information must be kept private in order to help prevent cyber attacks. Releasing the data logs would also violate the privacy interests of Americans who commented on the net neutrality repeal, he said. The Commission’s decision not to release the data logs comes a few months after the agency admitted that it lied about a so-called cyberattack on its comment system ahead of its ultimate repeal of net neutrality rules in December of 2017. Prior to the admission, the agency had told the media on numerous occasions that the comment system had been targeted by hackers, preventing consumers from voicing their opinion on the vote. “We look forward to challenging in court the FCC’s refusal to provide this information, which the public is entitled to have,” a spokesperson for the New York Times told Gizmodo.